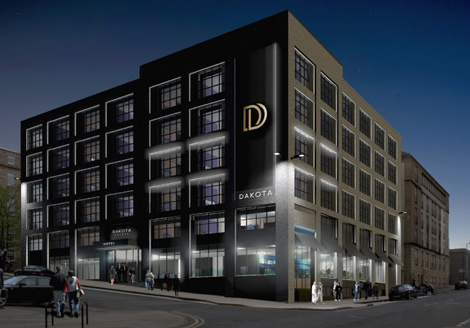 Dakota Hotels will open new properties in Glasgow and Leeds this year, with plans to bring its new Dakota Deluxe brand to major cities throughout the UK. The group has two established hotels in Glasgow and Edinburgh, which opened in 2006 and 2007 respectively, and is now expanding with a new partnership with Evans Property Group. Dakota Deluxe Glasgow is scheduled to open this spring, and will be located on Pitt Street, just around the corner from the Malmaison Glasgow. The hotel will feature 83 rooms including 11 suites, all with smart TVs, media hubs, Sky HD packages and free wifi. Dakota Deluxe Leeds will follow later this year, and will be located in the Bond Court are of the city. The group aims to have at least five openings in the next five years, with primary target cities of Birmingham, Cambridge, Cardiff, Manchester and Oxford. Dakota Hotels was launched by hotelier Ken McCulloch, founder of the Malmaison brand, and responsible for the Aviator Hotel at Farnborough airport.